• The Objective of this course is to make the students gain practical knowledge to co-relate with the theoretical studies. To achieve perfectness in experimental skills and the study of practical applications will bring more confidence and ability to develop and fabricate engineering and technical equipments. • Design of circuits using new technology and latest components and to develop practical applications of engineering materials and use of principle in the right way to implement the modern technology. 5. Photo Diode Characteristics (Study of I–V characteristics in reverse bias and variation of photocurrent as a function of reverse voltage and intensity). 6. Dielectric constant (Measurement of dielectric constant). 7. Diffraction (Measurement of wavelength of laser source using diffraction grating). 8. Torsional pendulum (Determination of M.I. of wire and Rigidity modulus). 9. Determination of Fermi energy. (Measurement of Fermi energy in copper). 10. Uniform Bending Experiment (Determination of Youngs modulus of material bar). 11. Newtons Rings, (Determination of radius of curvature of plano convex lens). 12. Verification of Stefan’s Law. • Develop skills to impart practical knowledge in real time solution. 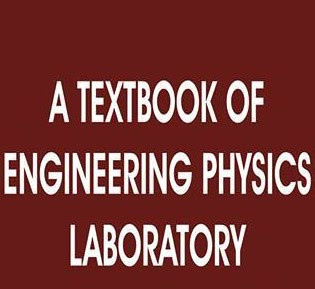 • Understand principle, concept, working and application of new technology and comparison of results with theoretical calculations. • Design new instruments with practical knowledge. • Gain knowledge of new concept in the solution of practical oriented problems and to understand more deep knowledge about the solution to theoretical problems. • Understand measurement technology, usage of new instruments and real time applications in engineering studies.